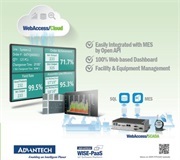 To facilitate the adoption of IoT, Advantech has developed its smallest industrial IoT gateway. The UNO-1251G is as small as a micro PLC and is DIN-rail mountable. To aid accessibility, the industrial computer comes with a programmable OLED display, easily accessible wireless communication slot, built in CANbus. 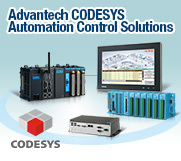 It supports over 450 PLCs, controllers and I/O devices protocols with WebAccess/HMI software. With an integrated CANbus connector, the UNO-1251G is especially suitable for networking intelligent I/O devices such as sensors and actuators. Originally designed by Bosch, CANbus is characterized by its multi-master protocol, real-time capability, error correction, high noise immunity, and the existence of many different silicon components. To aid development of CANbus applications the UNO-1251G includes the Advantech CANopen Protocol Library, which provides a C application programming interface (API) with which to use, configure, start and monitor CANopen devices. To aid internet connection in areas where using wires is impractical, the UNO-1251G includes an easily accessible side mounted expansion slot which can be used for installing an optional wireless card without having to open up the entire unit. The UNO-1251G has been designed to be operated remotely from any computer or tablet with a VNC (Virtual Network Computer) client installed and engineers can remotely access the UNO-1251G for diagnosis & control from wherever they are. Through WebAccess it helps move from proprietary systems to an open architecture and ease the integration of different devices. The programmable OLED display provides operators with intuitive system status messages. It comes with a range of default messages, but is also able to be programmed, using the OLED Display API, by site engineers so specific messages can be shown. As well as the RISC 32 bit ARM® Cortex™-A8 processor, the UNO-1251G also includes externally accessible micro SIM for 3G access and a micro SD card slot for additional storage, USB port, two 10/100 LAN ports, LED indicators, integrated 1G micro SD Card with OS installed and three COM Ports. 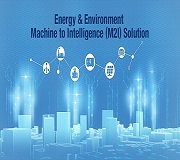 To find out more about the UNO-1251G and WebAccess/HMI, contact your local Advantech sales representative or visit www.advantech.com. 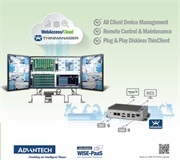 Advantech Corporation, Industrial Automation Group – With the themes of Intelligent Automation and Seamless Integration, the Industrial Automation Group (IAG) of Advantech Corporation is a pioneer in automation technology. 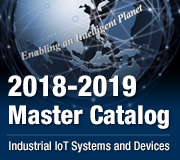 By combining connectivity, flexibility, ruggedness and leading-edge of Internet of Things technology, IAG offers Intelligent HMI platforms, Industrial Ethernet, Wireless Communication, Automation Controllers, Automation Software, Embedded Automation Computers, Distributed I/O Modules, Wireless Sensor Network Solutions, Plug-in I/O, and Industrial Communication solutions for a wide array of industries.